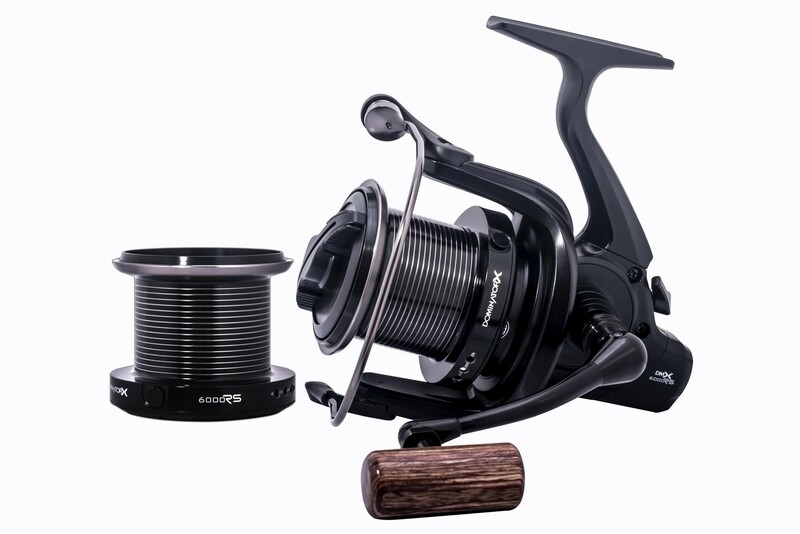 Built around the lightweight strength of a graphite body and rotor, the Sonik Dominatorx RS Big Pit reel powers up your carp fishing, giving you the distance casting and happy hauling you need to enjoy any session, on any venue. Super slow oscillation sets your line down with precision, while micro line lay adjustment washers allow you to tweak your line for maximum impact, and perfect placement, while the 4:1:1 gear ratio ensures a smooth retrieve that’s backed up by reliable power, bringing your fish swiftly and safely to the net, while Quick Torque drag sets you up in style, and locks down your fishing performance, putting you ahead of the came with every retrieve, while five stainless steel ball bearings keep things fast and smooth, meaning you get to spend more time on the more enjoyable aspects of angling. With the traditional touch of a wooden grip, the Quick Clik folding handle looks good, and means the reel can be safely stored in a protective pouch or reel case.